For your safety and peace of mind, always work with an asbestos certified contractor in Pacific Palisades CA like AQHI Inc. Compliance: Commercial property owners have special needs when it comes to asbestos remediation, because they need to get official clearances after the work is done. Working with an asbestos certified contractor in Pacific Palisades CA such as AQHI Inc. that conducts business to a very high standard makes it easy to get the clearances you need. Even among asbestos certified contractors in Pacific Palisades CA, there are differences in the quality and comprehensiveness of services offered. Many contractors are only certified for the removal process and do not carry the separate certification that is needed to transport asbestos waste to a designated disposal facility. Because AQHI Inc. does have this certification, we can handle your whole project from start to finish with no surprises or add-ons to the price. It is very important to remember that although asbestos contamination is invisible, it is still very dangerous and the threat should not be underestimated. Do not put your health at risk by attempting a DIY cleanup! 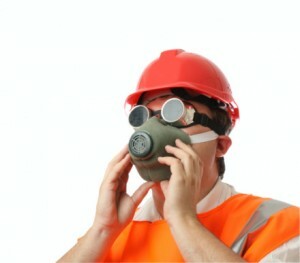 Instead, call an asbestos certified contractor in Pacific Palisades CA like AQHI Inc. for help. We have multiple locations so we can dispatch a team from the location nearest you to provide fast service in the event of an emergency. Call 800-481-8080 now to request service. Our asbestos removal office for Asbestos Certified Contractor in Pacific Palisades CA is open Monday through Friday between 8:00 AM and 5:00 PM and closed for lunch from noon to 1:00 PM. With advance notice, projects can be scheduled for weekends, early mornings and evenings.